In May, an activist-investor group forced its way onto the board of a Greek shipping-fuel company, calling it mismanaged and undervalued. Six months later, that company, Aegean Marine Petroleum Network Inc., is bankrupt, with its new board alleging the company had been systematically plundered and the assets that drew the activists’ attention were largely fake. An internal investigation run by the board’s audit committee alleged more than $300 million had been stolen by Aegean Marine founder Dimitris Melissanidis, according to people familiar with the matter. 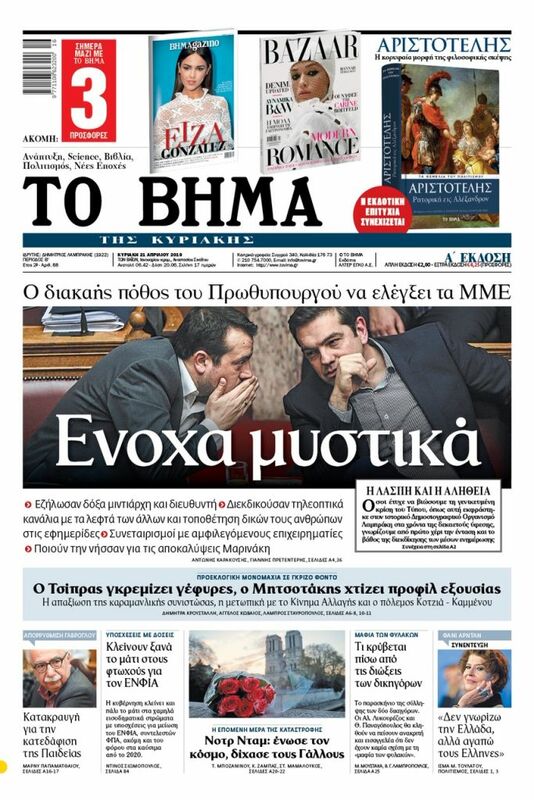 Mr. Melissanidis and a lawyer haven’t replied to calls and texts. The investigation found a set of shell companies, fake receipts and documents covered up the alleged theft, by making it look like Aegean Marine had legitimate contracts with customers that would have explained the missing cash. The investigation alleged some of the money went to Mr. Melissanidis, a billionaire, and to his family businesses, which include a professional soccer team and yacht rentals, the people said. Aegean is cooperating with U.S. Department of Justice subpoenas, the company said. The company filed for bankruptcy Tuesday morning in New York, a move that likely wiped out the value of its shares. A spokesman for the U.S. Attorney’s office in Manhattan, which is leading the investigation, didn’t respond to a request for comment. No charges have been filed. The allegations paint a picture of an elaborate accounting fraud that unraveled and left the company’s business in tatters, yet managed to get past both auditors and activist investors. Some have been stung by accounting-related stock collapses, including Trian Fund Management LP at General Electric Co.. William Ackman’s Pershing Square Capital Management LP lost $4 billion at then Valeant Pharmaceuticals after a spiral that began when short sellers questioned its accounting. The numbers are smaller at Aegean, but the extent of the alleged fraud and the speed of the company’s collapse are rare for activists to endure. The investor group was led by three hedge fund managers, August Roth, Tyler Baron and Justin Moore, who invested a combined $7 million. Aegean Marine sells bunkering fuel, which fills up cruise ships, container ships and, for a period, the U.S. Navy. As it was preparing for its initial public offering of shares in 2006, it said Mr. Melissanidis was no longer heavily involved in the company. 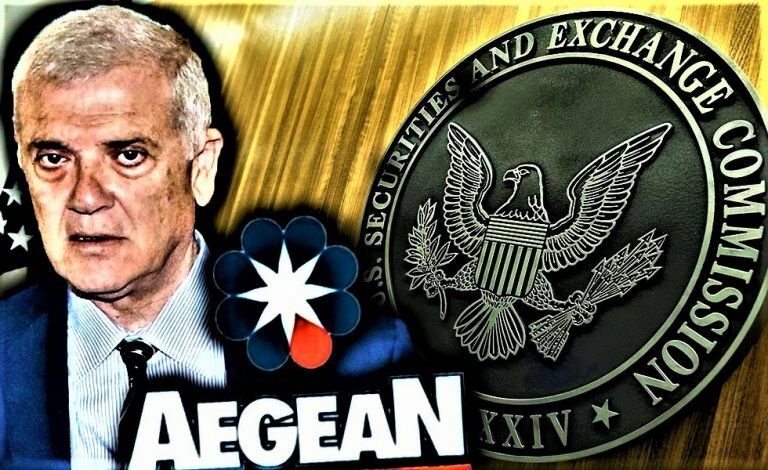 Aegean Marine is just one part of Mr. Melissanidis’s business empire, which also includes gas stations, a sports-betting company and a top soccer team, AEK Athens FC. His racehorse, Youtalkingtome, won the 2017 Greek Derby. In December last year, the activists nominated four directors, including Mr. Baron and Mr. Moore’s father, Donald Moore, a former head of Morgan Stanley in Europe. Soon after, Mr. Melissanidis re-emerged at Aegean, and the company struck a deal to acquire a company from him for $367 million. The deal would have given Mr. Melissanidis a 33% stake in Aegean along with $40 million in cash and $200 million in receivables. The deal also would have blocked the activists. In April, a New York court stopped the deal after the activists sued, leading to a board settlement where they got three seats, including Mr. Baron and Donald Moore, who was named chairman. The new directors learned within days that the board had begun an audit investigation, the people said. They also found out lenders had been surprised to learn about the $200 million in receivables in the failed deal and were pushing to liquidate. The banks stopped giving the company access to day-to-day financing, bankruptcy court documents said, and the business began to spiral downward. Within a month, Aegean Marine company disclosed it would write off $200 million in receivables. Still, the activists on the board pressed forward, believing they owed it to shareholders to complete the investigation, people familiar with the matter said. Adding to the stress, employees and an outside auditor said Mr. Melissanidis threatened them, according to the people familiar with events and written reports submitted as part of investigation. Mr. Melissanidis allegedly told one former executive he would “cut his balls,” the board was told. The investigation uncovered several alleged schemes that were continuing until this year, the people said. At the center was OilTank Engineering & Consulting Ltd., a company Aegean Marine hired to run the construction of an oil terminal in Fujairah, United Arab Emirates, in 2010. The investigation alleged OilTank stole some $285 million during the project by falsifying receipts and through bank transfers that continued through this year. Another $31 million was allegedly sent by Aegean Marine to yet another company controlled by Mr. Melissanidis’s family, the investigation alleged. To hide the tracks, shell companies claiming legitimate business were listed on the books, the investigation alleged. The investigation alleged the shell companies were tied to Mr. Melissanidis and never received any products, the people said. The investigation found contracts lacked normal paperwork and listed post office boxes controlled by Aegean employees, they said. The amount of oil products that would have had to be moved through the Fujairah terminal wasn’t feasible.